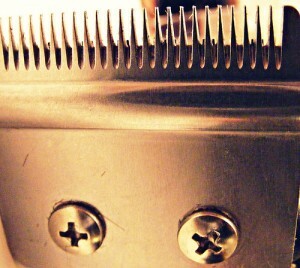 Many people will associate the phrase “well groomed” with a clean shave, and a tight haircut. The truth of the matter is that you can have long hair, a beard, and a rough around the edges look while still maintaining a well groomed appearance. Whether you’re the traditional, All American guy, or the more rugged type, there is room for a well kept appearance. Maintaining a well groomed look is much easier than you would think. For the clean look, most men will come into the barber shop for a haircut every 2-4 weeks. They might get a quick hair trim, a straight razor shave, and be back in a few days for a touch up in between haircuts. This is a great approach for the guys looking to keep their traditional, clean cut look. Shorter hair can be easier to maintain (wake up, shower, comb, and go,) so many guys prefer visiting the barbershop a few more times a year to avoid spending time in the morning styling their hair. As the rugged look makes a comeback into society, many men are unsure of how to maintain the look and remain well groomed at the same time. The answer is fairly simple; do exactly what the clean cut guy does to maintain his appearance. If you keep your hair a bit longer, you should schedule your haircut at around every four weeks. It’s enough time between haircuts that you won’t have to worry about looking unkempt before your next trim. Men with beards can maintain a well groomed look as well, without feeling like they need to keep a perfectly clean shaved face. There’s no reason why you shouldn’t have a beard and be proud of it. Some guys grow their beards out seasonally, and some keep a beard year round. The trick to having facial hair is to keep all surrounding areas of the beard trimmed and clean. For example; if you keep a full faced beard, keep your neck clean with a daily shave in the morning. Do you have a mustache? Keep the rest of your face free from stubble. It’s all about the details when maintaining a professional look with facial hair. There are many other ways for you to keep a well groomed beard and mustache. If you are trying to look sharp, whether you are a clean cut guy or a rugged man, then feel free to ask your barber for tips and advice next time you come into Dave’s Barber, in Woodstock, GA.